Just a couple of weeks back, Karbonn went on to announce that its 7 inch Smart Tab 1 tablet is now shipping with Android 4.1 Jelly Bean OS and became the first tablet in India to arrive on the latest iteration of the OS. 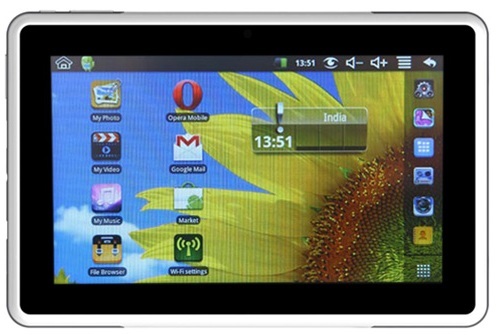 And today, another Karbonn tablet, namely the Smart Tab 2 has appeared and is available over online retailer website, Snapdeal. Check out the complete specifications of Karbonn Smart Tab 2 over here. The Karbonn Smart Tab 2 is now available for Rs. 6,990 at Snapdeal which is priced same as that of the Smart Tab 1 and also the specs are similar too.